Recently, I decided to leave Korea after my contract ends. I debated staying for a third year, but in the end, two years seems like enough. I’ve had a great time here. I’ve met tons of friends. I’ve traveled all over Southeast Asia, and gotten paid to do it, but after two years, I’m ready to return to the states and so my journey begins. What will I do when I return to the US? Before I left for Korea, I was a video editor for a well known TV network. I enjoyed it, but stable jobs in video editing are hard to come by. Many employers only want freelancers or contract work. That means a life of hustling for a job every few months and keeping an up-to-date demo reel at all times, just in case. Before that I was a project manager. I enjoyed the actual work, but my particular job involved traveling almost every other week. It was too much, I knew the hotel staff better than my apartment neighbors. Before all of that, I worked for a small startup in Gainesville, Florida. I really enjoyed it, but I wanted to be more involved in the actual product, not just the marketing. I handled social media and while it was fun, I was always an optional piece in the product equation. I wanted to become a developer and work with the actual product. RefactorU looked like a great program. It was less expensive than the NY-based programs. It was in Colorado. They emphasized not wanting to burn people out. One thing that concerned me were the many typos on their site. It made me question how professional their program really was if they couldn’t check their own work. I often make typos here on my blog, but I’m not charging tuition. Their coding challenge was incredibly easy as well, even for me with little background in any sort of coding. I watched their graduate showcase on youtube and while some of the projects were incredible, some of them were just alright. Ultimately, I think RefactorU probably has a great program and they probably take people starting at a lower level than where I was starting at, but it’s not the program for me. If the porridge was too cold at RefactorU, it was too hot at App Academy. App Academy is a bootcamp with campuses in New York City and San Fransisco. It has regular assessments as part of its curriculum and students who fail the assessments are asked to leave. I read stories of 4 out of 20 people in a cohort being asked to leave. App Academy has a very high salary and job placement rate as a result of cutting the stragglers in it’s program loose. They also charge only $3,000 upfront. However, they take 18% of your first year salary. I made it through the first coding challenge then was invited to a second challenge before I declined. Before the first challenge they suggested I create a Nitrous.io account and complete some practice problems on my own. I worked through those challenges. They ranged from checking a string to see if it was a palindrome to finding primes or greatest common factors. The first challenge was fairly manageable. I had 45 minutes to write a few pieces of code. I finished in about 30 minutes. The questions were easier than the practice problems. After I passed, I was given a second set of practice problems to work on. These problems were meant to be written on my own computer and tested against some test cases on my computer. I completed about half of these problems but they were really difficult. I was constantly going back and forth between the solutions and my code trying to discover why my program wasn’t working. Based on this experience I felt like I wasn’t ready for App Academy. I think they’re looking for applicants above my skill level. The application process also felt a bit unprofessional. After my second challenge I was asked to add the App Academy email account to my Google Calendar and pick out a day on their schedule. Something about this just felt off to me. I wanted the scheduling process to showcase the schools web development prowess, not just piggy back on Google Calendar. Other schools had nicely polished professional looking scheduling apps for their applications. The regular assessments throughout the program also seemed daunting. I felt like I would constantly be worrying about my assessment grades and unable to focus on my projects in the bootcamp. In the end, I politely withdrew my candidacy from App Academy. I applied to this small school in Akron, Ohio. From everything I read on Quora and Reddit, it seemed like they had a great program. Their instructors had a lot of experience and the tuition was only $10,000 plus a very modest cost of living in OH. They taught .Net instead of Ruby because as they said, that’s where the jobs are. I filled out an application and an assessment. Within 3 days I received a reply that was personally written to me. It even mentioned aspects of my previous experiences that I mentioned in my application. The next step was scheduling an hour long assessment. I was looking forward to scheduling my interview when I saw that the earliest available interview was a month away. At this point I was already starting to receive acceptance emails from some academies, a month from now would be long after I was already into an academy. I replied to them explaining my situation and asking for an earlier assessment. I called twice as well. However, I never heard back so that’s where my application with them ended. UPDATE: They wrote back several weeks later and were very polite. I replied that I’d already accepted a program. Following that they wished me the best of luck and offered to help out in the future if I needed anything. If they’d written back sooner, I might very well have ended up in their program. During my technical interview, I was asked to pair program with a “hacker in residence”, one of their students turned instructors. He wasn’t very sociable and the interview consisted of almost no questions other than “write this code”. There were no questions about what I wanted to get out of this or how I found out about the program. I’m sure this is just the Hack Reactor style, as it’s a very intense program, but the whole process felt very cold and robotic. The first few programs I was asked to write went smoothly. I had to make a function, pass some parameters to another function, but at a certain point I was just lost. I tried to work with the instructor, but I just didn’t have the knowledge required. It was due to my lack of preparation. Dev Bootcamp is the program that started it all. 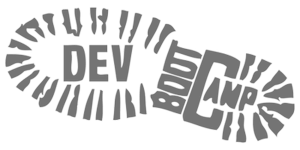 It’s the first development bootcamp, hence the name. It’s like the first restaurant just being named Restaurant. They began in San Fransisco, then opened a second location in Chicago, and a third in New York City. The cost is $13,000 I applied and was asked to complete a technical interview with one of their staff members. The coding challenge was incredibly easy. Several of the questions could be answered in one line such as “make a variable”. I was hesitant based on that. I felt like it was way too easy. The program was also 9 weeks online and 9 weeks in-person instead of 12 weeks, but about the same price as many other programming bootcamps in NY. I read about their engineering empathy program and while I enjoyed the idea of it, I heard accounts from people about crying or weird team building exercises. I think this is a great program for many people and their Engineering Empathy program may be a benefit for some people, but it’s just not my cup of tea. I really just want to learn coding. I can focus on empathy on my own time. Another concern of mine was with the New York campus. On their blog there was plenty of information about Chicago students doing this or San Fransisco students doing that, but almost nothing about their New York campus. I had a hard time finding student blogs from NYC Dev Bootcamp as well. I ended up being accepted into the Dev Bootcamp program, but ultimately decided on another bootcamp. It’s based in New York City. It’s $15,000 with the first $3,000 paid upon acceptance. They offer a great program right in Manhattan, not in the flatiron building ironically. They also offer a free program for New Yorker residents without a formal college education. The mayor of New York has endorsed them, their students have won several awards, they received a sizable grant from the city, and they published a jobs report. Most of these bootcamps has some kind of job guarantee/statistic along the lines of “90-95% of our graduates are employed as web developers within 3/6/9 months of completing our program”. Of all of these programs, Flatiron was the only one that published an independently verifiable job report done by an outside agency. For me this was really important. They explained every factor in the claim and what constituted a job and what counted as a job seeking individual. It was all very reassuring to read. A staff member at Dev Bootcamp said they were working on a similar report but she couldn’t tell me when it would be available or what exactly it would include. The initial step was just an interview, after that there was a coding challenge where I needed to make a simple two-person game over the course of a week or so (I won’t give away more information). The instructions were pretty clear, try your best, don’t copy it from the internet, and it’s better to submit a broken program than a working one. I got really close to making my program work when I reached the Friday deadline. I submitted my code and an explanation of what worked and what didn’t work, as well as my guess as to what was wrong. My interview to discuss my code was Sunday night (KST) and I spent the weekend working on my code with the intention of getting it working by the time the interview came around. With maybe 24 hours to spare, I managed to get my code up and working. The interview was brief, we discussed why I wanted to attend Flatiron, how my program worked, and what I could change to make it do A or B or C.
After passing the application process, I was notified a few days later of my acceptance into the program. I decided based on all the information I’d gathered about each program that Flatiron was the best school for me and accepted their invitation to attend. After accepting at Flatiron, I had a week to send a $3,000 deposit to Flatiron. Then I started working through the Flatiron Prework. A month ago, I was given a link to join a Facebook group, fill out a survey, and access the Flatiron prework program called “Learn”. Last week, I finished all of the prework. Seeing as I have 2.5 months until I attend Flatiron September 28th, I intend to work through as much of the Odin Project as I can. Very interesting analysis, Austin. Thanks. Now, for that Job!